Meter White Gloss Presentation Folders – Flat pack 50 folders. 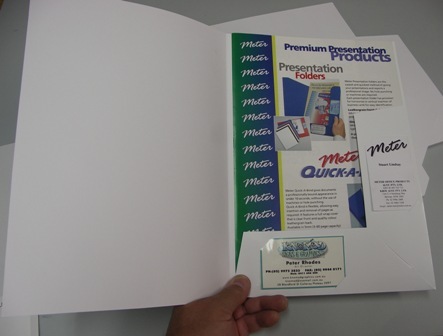 Excellent for presentations, proposals, seminars, sales quotes, resumes, company or school marketing. • Made from 250 gsm White Gloss Cast Coated Board(Chromolux).